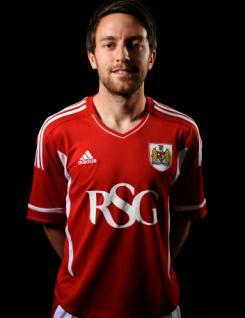 Cole Skuse is a strong running central midfield player who captained Bristol City on a number of occasions in the first half of the 2010-11 season. A product of the club?s youth set-up, he is full of energy and very effective in the tackle. Cole established himself for the Robins during the second half of the 2008-09 campaign, and retained his place throughout the following season. Although injuries restricted his availability in 2010-11 he nevertheless featured in over half the club?s Championship fixtures.